Stablecoins have been playing a bigger role in the crypto markets. It all started when Tether (USDT) became the first stablecoin to win popularity across the community. Since then, more and more coins have been popping up – Gemini, True USD, and others. All of them are, in essence, blockchain-based avatars for USD, being pegged to the dollar. USDQ is different. Pegged to Bitcoin as collateral (and other cryptocurrencies in the future), it improves on the mechanics of other stablecoins, eliminating the need to rely on “legacy” institutions. Below we present the gist of how USDQ operates, how the coins are created within the ecosystem, and why many proponents call the crypto-collateralized system the optimal path for cryptocurrency. The ecosystem functions in order to mint two coins – the internal coin Q DAO, used to manage the ecosystem, and the USD-pegged USDQ. The system is based on collateralization of Bitcoin and other cryptocurrencies, enabling any user to input cryptocurrency and mint USDQ coins, with its value continuously oscillates around $1 with insignificant deviations from time to time. Just as other crypto-based stablecoins have gained more and more traction, USDQ is expected to grow and become an important part of the crypto markets. With more and more users, the ecosystem will become a “reserve vault”, used to safely store cryptocurrency and produce the stablecoin. The technical development is being driven by the Platinum Engineering Team, which brings together top-notch development, marketing and strategic talent in the crypto markets. The project has been slowly gathering a community of stakeholders around it. To understand how USDQ works, it’s important to look into the two main differences between USDQ and other stable cryptocurrencies, such as USDT, TUSD, GUSD. The one difference is the type of collateral used by these systems. In popular stablecoins, the collateral is fiat which is held in legacy financial institutions, i.e. banks. The other difference is that those systems are hinged on the validity of the statements issued by the companies’ teams and auditors who verify the fiat reserves, while USDQ tracks all transactions and collateral reserves on the blockchain. USDQ doesn’t need any links with banks or auditors. The process to generate USDQ is based on the smart contract which creates the so-called Collateralized Debt Contract (CDC) and locks the collateral, i.e. crypto assets. When a user wants to generate USDQ, they need to input crypto assets into a CDC, and, in return, they will get USDQ. The ecosystem uses the over-collateralization method which is required due to high volatility seen in cryptocurrency markets. As compared to stablecoins like USDT, where the ratio is 1 USD = 1 USDT, USDQ requires a higher ratio of crypto assets to be placed as collateral, with the exact ratio amount varying. In addition to interacting with a next-generation smart contract, traders can also purchase USDQ on secondary markets. Many of the proponents of USDQ are drawn by the fact that no fiat is used, which eliminates any risks that might arise from dealing with legacy financial institutions. There are some concerns that the USDQ ecosystem might be vulnerable to the same risks, which resulted in the failure of the infamous DAO due to the $50-million hacking attack. Others point to the fact that should users want to exchange the stablecoin back into crypto assets, they won’t only need to return the principal amount, but also pay the fees, needed to sustain the system’s operations. Another major concern is how the USDQ system will react to a so-called “black swan” event, an unexpected plunge in the prices of crypto assets. Questions arise about the fact that the USDQ system will dilute the amount of coins in order to prevent any negative impact. Some crypto enthusiasts worry that the attention from various governmental agencies, such as the SEC and others, might lead to the need to report to the regulating agencies the highly technical inner workings of the system. It is expected that the ecosystem will subsequently start accepting various other cryptocurrencies as collateral, enabling multi-asset collateralization. In addition, the system will offer stablecoins pegged to various national fiat currencies. It should be noted that other major cryptocurrency projects are currently considering ways to launch their own stablecoins, collateralized by crypto. Although it’s unknown what components such future systems might include and how they might operate, they will likely follow suit and leverage the same mechanics as USDQ. Overall, users appreciate the ability to collateralize their crypto asset reserves without the need to turn to fiat, and carry out all their transactions on the blockchain. 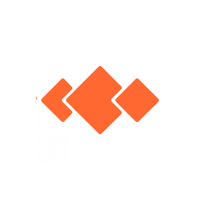 USDQ is a decentralized stablecoin, which uses algorithms to offer higher stability and reliability. 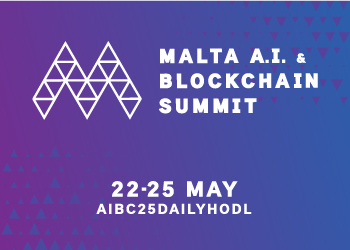 Fully on-chain and monitored by high-speed AI robots, the ecosystem offers reliable defenses against malicious acts and attacks. 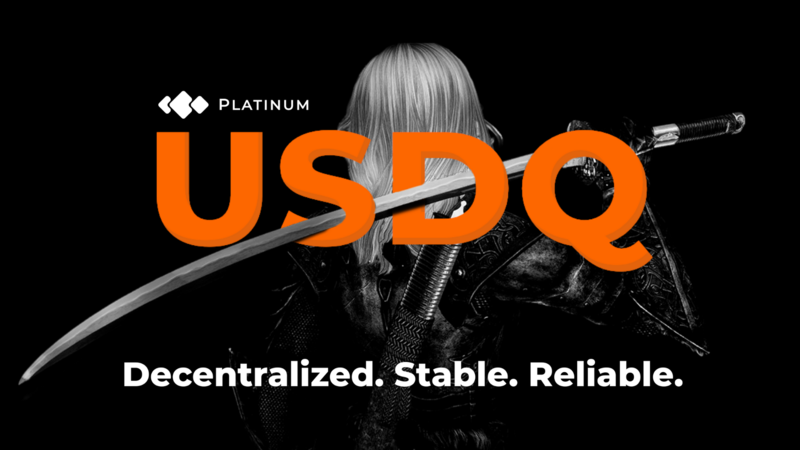 The first run in a line of fiat-pegs, USDQ is brought by Platinum Engineering Team, looking to edge together innovative solutions in collateralization, using stabilizing mechanisms and oracles for high-endurance stablecoins. Fully anonymous, USDQ breaks the limits of the legacy world. 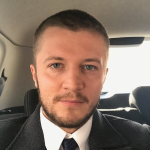 Anton Dzyatkovskiy is a blockchain architect lead of Platinum Engineering, entrepreneur, negotiator. He is a passionate and hardworking business leader with more than 13 years of experience in different positions within FinTech, Retail, and E-Commerce. Experienced in expanding financial businesses to totally new markets.